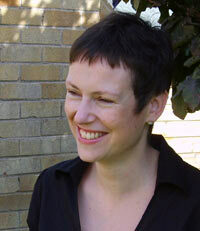 Cordelia studied Fine Art at Newcastle University (1985-1987) and History of Art at Nottingham University (1987-1989). She completed her Ph.D. on 'Female Patronage and Female Spirituality in Italian Art of the Thirteenth and Fourteenth Centuries' in 1994 (University of Warwick ). Before coming to Manchester, Cordelia taught at Queen's University Belfast (1999-2003) and the University of Aberdeen (1995-1996). She has also taught for the Open University (1995) and for the American University of Rome (1998). She has held research awards from the Leverhulme Trust (1996-1998 and 2002-2003), the British School at Rome (1991, 1997-1998, 2011), the Gladys Krieble Delmas Foundation (1993), and St. John's College, Oxford (2003). Cordelia is currently (September 2017 onwards) Deputy Editor of the Bulletin of the John Rylands Library (http://www.manchesteruniversitypress.co.uk/journals/bjrl/). She is also on the committee of the Ecclesiastical History Society, served on the Editorial Committee of Manchester University Press from 2012-2015 and was Reviews Editor of the journal Art History from 2007-2011. I am interested in supervising work on late medieval and renaissance Italian art, particularly topics relating to wounds and surgery, sanctity, patronage and dress and would welcome enquiries from anyone wishing to do research in this area.